Remember that bike trip to Patagonia with El Mecánico and Tío Ramón in 2016? Well, I just learned that my two handsome bike partners are CALENDAR BOYS! But, wait, it gets even better...it's not only the boys who are famous; Shirley is famous, too! Shirley, my Surly Long Haul Trucker, is a CALENDAR GIRL! That's Shirley there, leaning smugly up against the barbed wire fence, parked just behind Tío Ramón's steed. Maybe I'm biased, but I think she looks just as stunning as the two boys. You may recognize this photo from my Crossing Tierra del Fuego post. I'm tickled pink that my photo was chosen for Adventure Cycling Association's 2018 calendar! 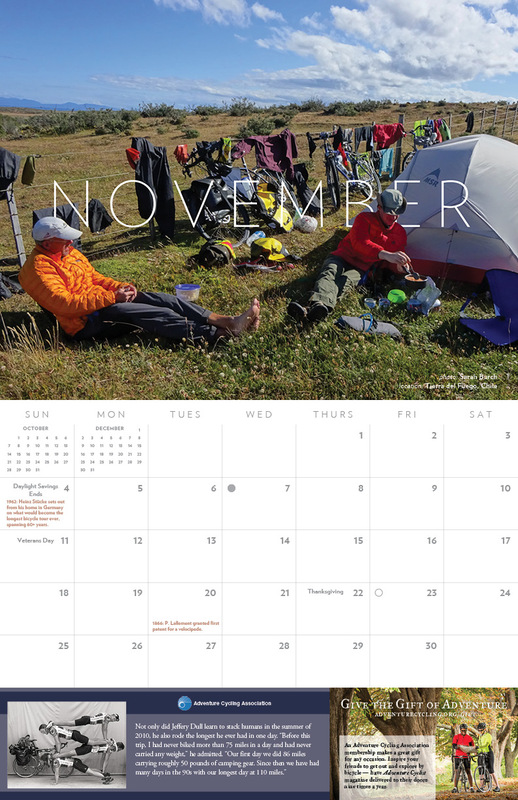 Order your copy of the cycle touring-themed calendar here. Happy 5th Re-Birthday to Me! Gee willikers! Has it been five years already? As Gretchen Rubin said, "The days are long, but the years are short."